Welcome to the registration page for the IWB 2013 Conference. The registration takes part in two steps: payment for your ticket and a form for additional information. Once you have successfully paid for your ticket via Paypal or credit card you will be guarenteed access to the conference. We then ask that you complete a short form for the benefit of the organizing committee. Poster Presenter: Any student attending to present a poster. Further information will be required from you later. Poster Contest Judge: Please choose this option only if you have already been asked to participate by a member of the conference organizing committee. Professional: Any person who does not fit the previous categories. This includes university faculty, staff, and community members. Choose the correct option from the drop-down menu below and press the Pay Now button to be taken to the Paypal website. When you are finished with PayPal you will see a confirmation screen and be given the option to return to this page. You will receive a confirmation email from Paypal momentarily. Please keep or print this email for future reference. If your payment does not match your actual status you may be denied entry on the day of the conference. If your credit card or Paypal account is associated with an email address that is not your own, please copy or print the confirmation screen on the Paypal website before returning here. The Transaction ID or Receipt No. code on this page is necessary for us to confirm that you paid. If you are paying for more than one person please pay for each individual separately and provide them with their Transaction ID or Receipt No. code. If your payment was successful you will recieve a receipt at the email address you provided to Paypal. In the Paypal receipt email you will have been assigned a Transaction ID similar to this: 3VR42386WF669703M or a Receipt No. similar to this: 0596-1331-6925-1446. Please copy and paste this confirmation code exactly as presented in the email into the first box of the registration form. This code will allow us to confirm your payment and register you more easily on the day of the conference. If you do not provide a confirmation code the registration form will not be accepted. If you believe you made a mistake with your submission, please do not submit a second time. Please contact Ruth Collings, Registration Chair, at rcc@dal.ca to amend your submission. Please include your Transaction ID, the incorrect information, and the correction in your email to expedite the process. There will be no guarantee that mistakes will be corrected if submitted within 24 hours of the conference. If you believe you have made a mistake, please bring your confirmation code to the registration desk upon arrival and mention it to one of our volunteers. If you did not recieve a confirmation email from Paypal please check your Junk or Spam folder. If you at any point closed the window before seeing a confirmation screen the payment will not have been completed and you must start again. If you are sure you completed payment successfully but have lost your confirmation code, please contact Ruth at rcc@dal.ca as soon as possible and we will do our best to sort you out. 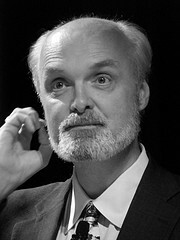 Announcing Stephen Abram as the keynote speaker for IWB 2013. Sciverse app launch & panel discussion: trends in digital libraries and scientific knowledge discoveries.